Secrets of the Fae is a Quarterly Print Magazine whose Siren’s song will draw you out of the mundane and into a world of enchantment, mystery, and transformation. 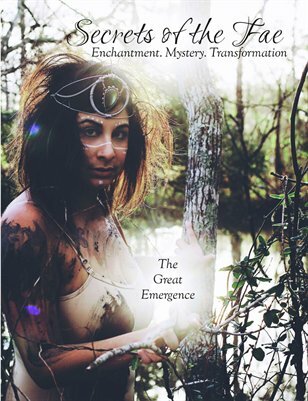 This Captivating Publication is being Crafted for the Wild Ones – the sacred souls who long to transform their world, the Dreamers, the Artists, the Alchemists; it is truly for anyone who has a heart to embrace the enchantment around them … or the desire to create their own. Our Second Issue focuses on the emergence of Spring. We celebrate the Wild as we move through and past darkness and into the newness of life.